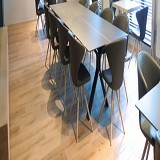 Neptune Rigid Core Multilayer Waterproof Flooring - The Future of Waterproof Flooring! 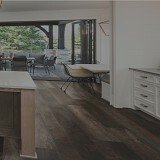 Do you want the look and feel of hardwood flooring but don’t want the maintenance, then Neptune™ Rigid Core Waterproof flooring may be exactly what you are looking for! 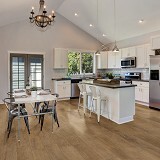 Neptune™ Rigid Core flooring has 4 distinct layers which comprise each plank. Neptune™ features an extra dense Closed Cell Core making it 2 times more dense than standard WPC products. Each plank of Neptune™ flooring is coated with a quartz enhanced urethane wear layer to protect against heavy foot traffic, scuffs and scratches. Neptune’s™ rigid core is made out of 100% virgin material and contains 60% limestone giving it incredible strength, rigidity, and waterproof properties, making it 3 times more rigid and 10 times more impact resistant than standard LVT! Buy Neptune Rigid Core Waterproof Flooring at American Carpet Wholesalers for 30-60% savings!